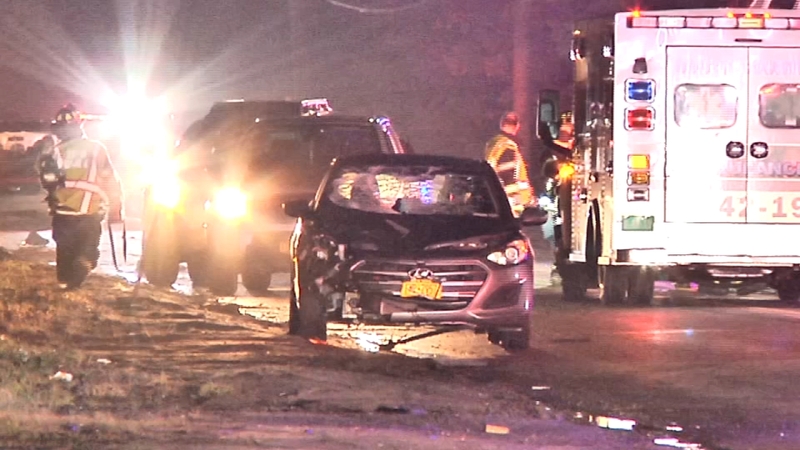 YAPHANK, Long Island (WABC) -- A woman was fatally struck by a car in Suffolk County. It happened in Yaphank around 5 p.m. Saturday. A child walking with the victim was also hit and seriously injured. The driver of the car was taken to the hospital for evaluation. There is no word on whether she's facing any charges.